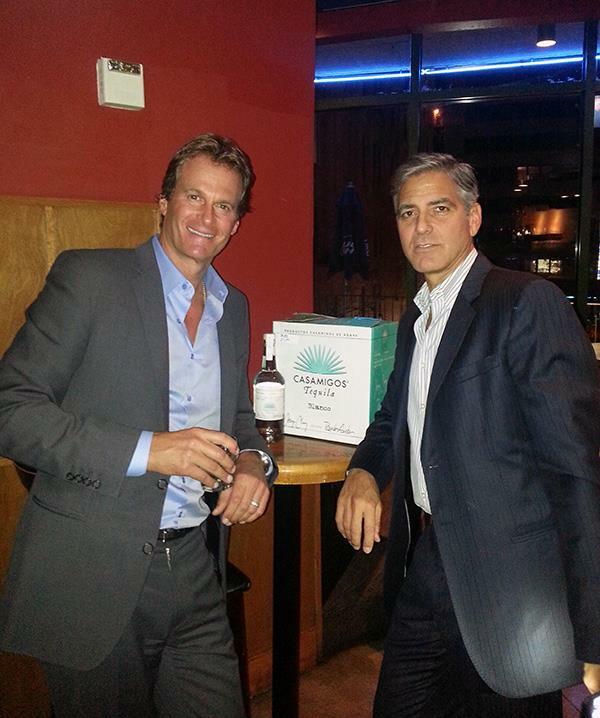 Unless you live under a rock, you probably know that George Clooney (aka sexiest man alive) was in Dallas on Monday with pal Rande Gerber (aka Cindy Crawford's husband) promoting a new tequila called Casamigos. Clooney and Gerber's visit was part of a road trip to promote their new venture; Dallas was the first official stop in a group of select cities that include Los Angeles, Las Vegas and Miami. The tequila's name, Casamigos, was inspired by their homes in Mexico, and it is expected to be sold at "a reasonable price point." According to CultureMap, "Restaurateur Al Biernat started the gossip mill rolling on Sunday night when he leaked on Facebook that Clooney was in town, commenting wistfully that he hoped they would stop by Al Biernat's. "We just happen to have six bottles on hand, just in case," he wrote. Instead, Clooney and Gerber held court at the Hotel Intercontinental, where liquor distributor Glazer's hosted a tasting for a group of just over a dozen elated restaurateurs and high-end liquor stores. An even smaller group reportedly had dinner with the suavely handsome thespian." 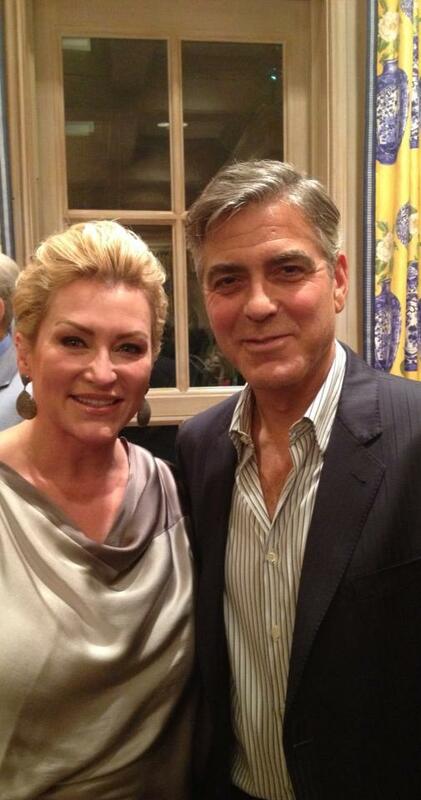 Actually, the dinner was for about 50 people, hosted at the home of Sheldon Stein, President of Glazer's. The pair later made an appearance at Iron Cactus in Downtown Dallas before retiring to The Mansion where they were staying. Why Iron Cactus you ask and not someplace more high-profile like Al Biernat's? A little birdie told me that Iron Cactus bought 1,000 bottles of the stuff to get them. Sorry, Al, but 6 bottles wasn't even enough to get you a text, much less a personal appearance. But, because of Al's Facebook post, his consolation prize was a packed house full of diners hoping to get a glimpse. Oh, Al. You are a PR genius if I ever met one! I love a man who knows how to work a rumor.